The Southern Highlands region, just south-west of Sydney is abundant in rolling green hills set against stunning countryside. 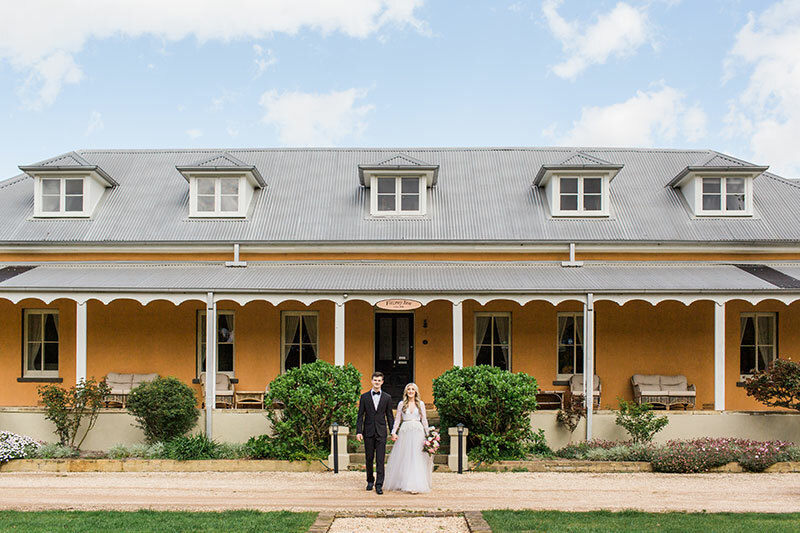 The Fitzroy Inn is one of the most beautifully preserved historic Wedding Venues of the Southern Highlands area. Only 1.5hrs drive south-west of Sydney and set on the edge of a rural town, this charming Victorian colonial building with its wrap-around verandah opened as the Fitzroy Inn in 1836, and was the first lodge or guest house in the State to provide rooms as well as liquor. The Inn can be booked for your exclusive use for the weekend. Plan your perfect country wedding and you and your guests can enjoy the hospitality of the Inn all weekend. 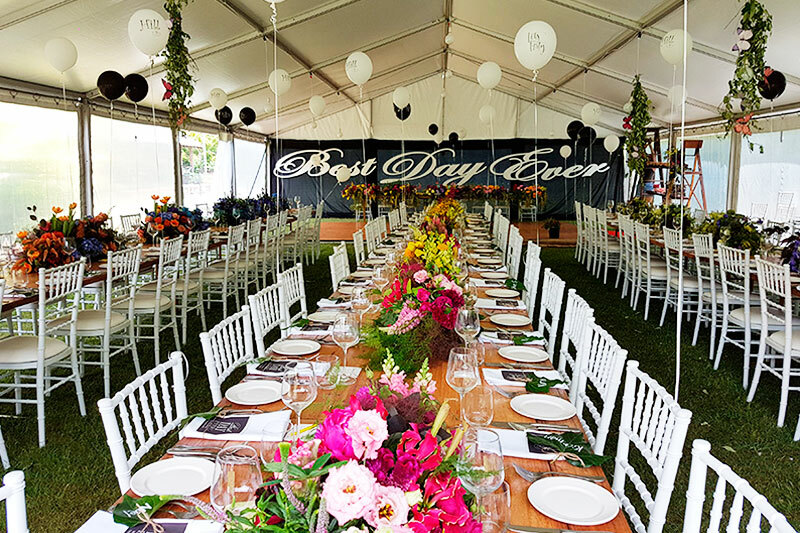 Start with a dinner on the Friday night, this could be an intimate affair with just the family and the Bridal Party or start the weekends festivities off with a BBQ for your guests. After the party on Saturday night you will be looking forward to a recovery brunch on Sunday morning. Turn your wedding into a weekend long event. 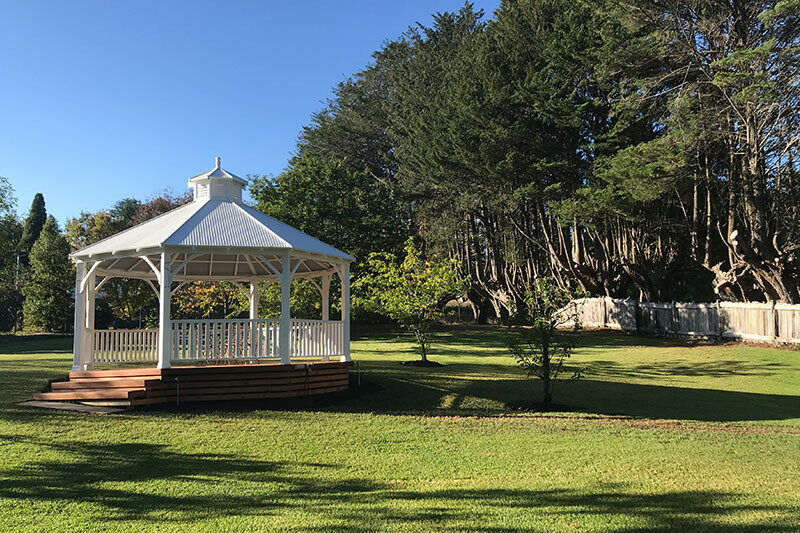 Bring your wedding vision to life by featuring a historical backdrop surrounded by spectacular 5 acre gardens, nestled in the Southern Highlands. Large estate for Marquee placement. 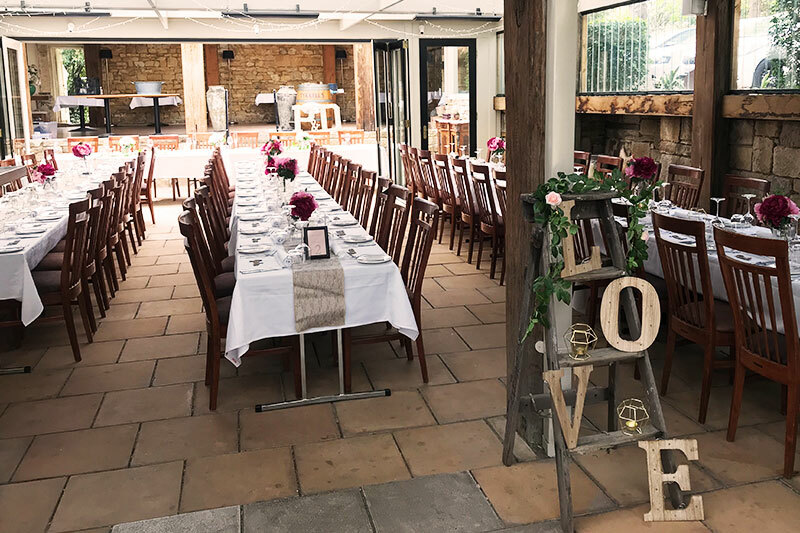 When you book your wedding at Fitzroy Inn, your ceremony set up is included. You might choose to have your ceremony down by the weir or underneath one of the century old Oak trees. 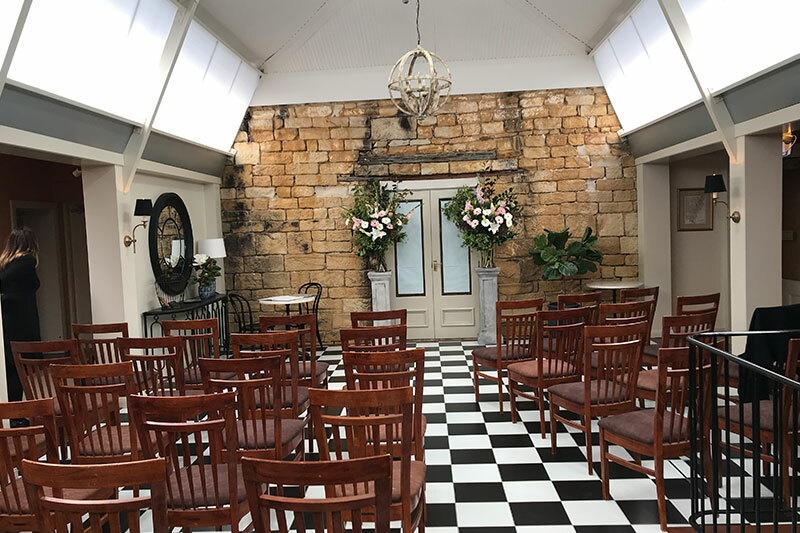 And if the weather is not the best on the day you may have the ceremony on our expansive verandah, or in one of the beautiful sitting rooms. As part of your package we include chairs for your ceremony and a beautiful signing table. If you would like more styling options we can help you with items for hire such as an arbour or props to suit your styling. 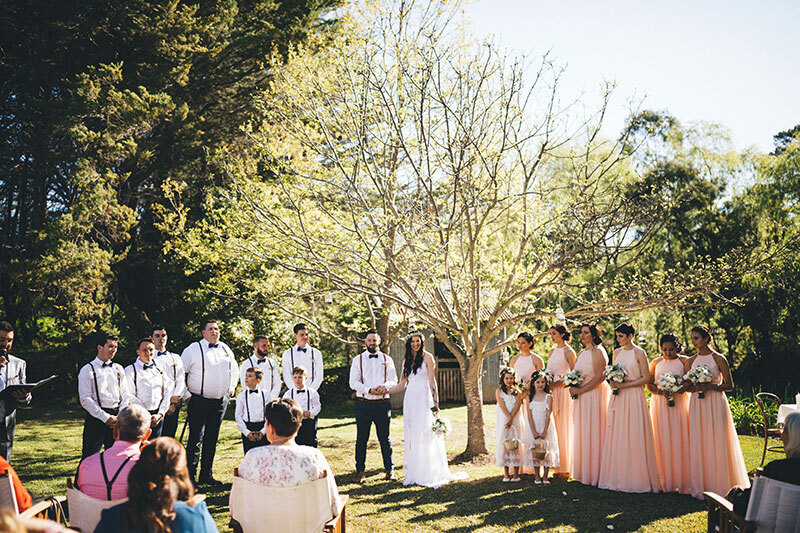 If you prefer a church wedding for your ceremony, there are many beautiful churches dotted around the Southern Highlands, from old sandstone churches to modern styling. Our Wedding team can help you with recommendations. Following your ceremony your guests will enjoy drinks and canapes on the lawn before moving into our beautiful dining room. The Fitzroy Dining Room Restaurant is situated in the atrium and heritage dining room which are the converted stables of the old historic inn. With its warm hues of hand cut stone and timber it makes for a cosy setting for your Wedding Reception. Our Fitzroy Dining Room Restaurant can seat up to 100 and 150 as a cocktail style wedding. We can also offer a Marquee which can accommodate up to 250 people or more. A nominal set up and cleaning fee may apply to marquee weddings. Or you may like the idea of a reception beneath the stars. Our wedding team will work with you to create the reception of your dreams. 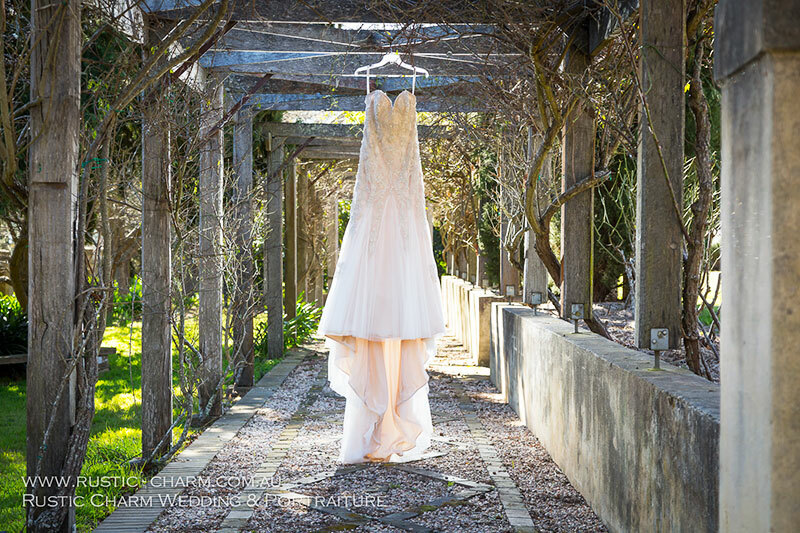 Why not consider running away to The Southern Highlands to get married? Talk to our wedding team about our mid week (Mon- Thurs) weddings or Elopement Style wedding packages. When you book your wedding at Fitzroy Inn, why not book all of the accommodation for exclusive use of the Inn? There are a range of 11 comfortable rooms for you and your guests, from the Historic House to the restored Schoolmasters building. We can sleep up to 30 people in either luxurious King, Queen or family rooms with ensuites. If you require more accommodation, our team will help you make arrangements for your family and friends. Ask our wedding team for exclusive rates.